So, this week is the big Star Wars Celebration in Anaheim, California. I was not able to attend, but I wanted to find some excuse to blog the latest trailer from the upcoming Star Wars Episode 7: The Force Awakens. 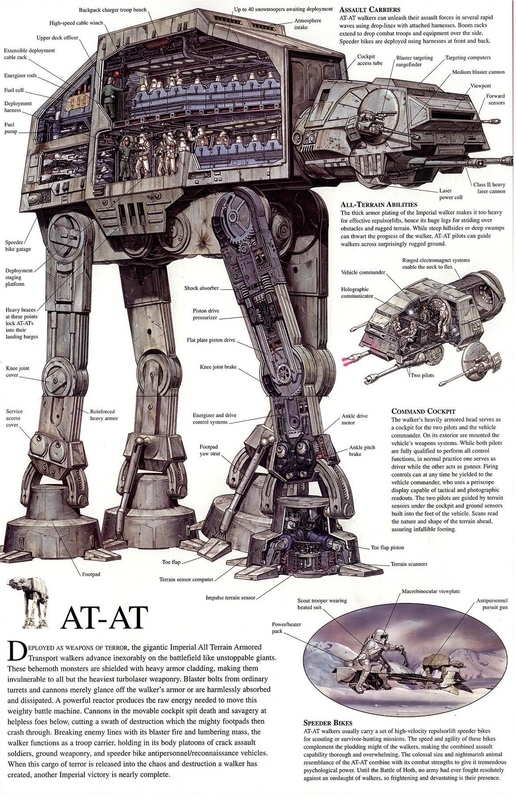 I found this great infographic that shows the insides of a Star Wars Imperial AT-AT. This is from Doug Osborne from March 1, 2011 on Geek.com. The AT-AT is one of my favorite vehicles from the best of the Star Wars movies, The Empire Strikes Back. Enjoy and May The Force Be With You.